Everyone should be able to have the Periodic Table of Elements at the tip of their fingers for work, schooling and just in case you are being curious. This app would be good if you can personally choose an element to explore and learn it more. 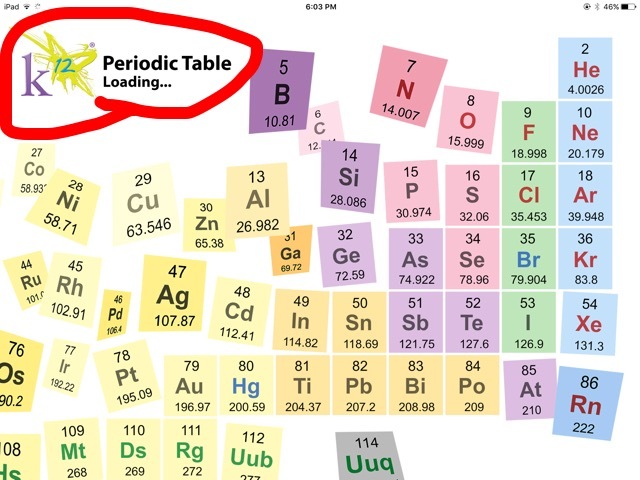 I wanted to find an app that can help you learn and always be able to visually see the Periodic Table and always have it with you. The app I found and used is called K12 Periodic Table. I would highly recommend this app as it allows you to click on any element that you chose and allows you to see its Electronegativity (1) Ionization (2) Radius (3) Melting Point (4) Boiling Point (5) Symbol (6) Name (7) Average Atomic Mass (8) Atomic Number (9). 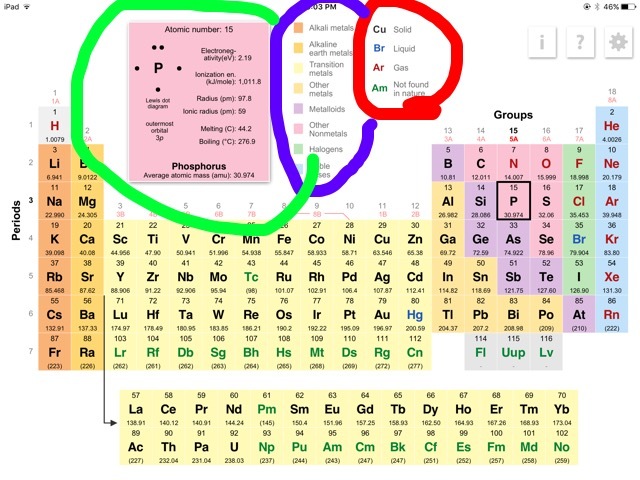 This app states and shows the Alkali Metals, Alkali Earth Metals, Transition Metals, Other Metals, Metalloids, Other Nonmetals, Halogens and Noble Gases. Along with columns of explain what each colour of symbol meant, Ex. 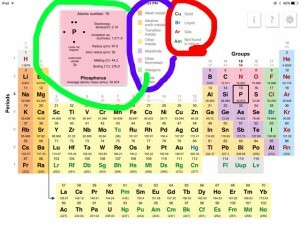 Black= Solids, Blue= Liquids, Red= Gases and Green= Not Found in Nature.